On Wednesday’s Hardball, host Chris Matthews too a little breather from his Republican racism charges, but let guest John Heilemann do his dirty work for him. Matthews started off the opening segment with Heilemann and the Washington Post’s Eugene Robinson by saying that he wanted to get away from the racism talk because “we don’t know what’s in a person’s heart,” and then proceeded to ask Robinson ad Heilemann what the Republicans were really saying in their attacks on President Obama. So just because the Republicans mention Chicago, now that is hidden racism? Maybe Heilemann and Matthews haven’t noticed, but there are plenty of white people in Chicago and references to Chicago style politics refers to the Daley machine which dominated the city for decades and was known for rampant corruption and cronyism. Plus the fact that Daley was, ahem, white. 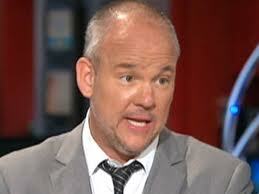 Once again if a conservative had made a statement like Heilemann’s , the media would hang them out t dry, but since he is a liberal on a liberal show he of course gets a pass. Exactly who is playing the race card again? The presidential campaign hit a new low this week with the release of an ad by Obama SuperPAC Priorities USA Action suggesting that Mitt Romney was at least partly to blame for the death of a steelworker’s wife. The ad featuring former steelworker Joe Soptic leaves viewers with the impression that GST Steel which was was owned by Bain Capital closed the Kansas City plant that Soptic worked at and the subsequent loss of insurance contributed to the death of his wife in 2006. While the death of Soptic’s wife is tragic, there is more to the story than the ad tells. The plant closed in 2001, but Romney had left active management of the firm in 1999 to run the 2002 Winter Olympics. In addition to this, it turns out that Soptic’s wife actually had her own insurance through the company she was working fr and only lost that coverage when she left the company. Her lack of insurance had nothing to do with Bain Capital or Romney, but you wouldn’t know it from watching the ad. Soptic’s wife left her job sometime in 2002 or 2003 and the cancer was discovered in 2006 and she died 22 days after diagnosis. Once again, while this is tragic it occurred long after Romney left Bain. Negative campaigning is part of the political landscape and is here to stay. However there are boundaries or at least should be and this ad clearly crossed them, by fudging the facts enough to try and convince voters that Romney was responsible for the death of a former employee’s wife. Is the Obama campaign so desperate that they have to have their SuperPAC stoop to this level of attack to try and win the election? What’s even more surprising about the ad and the controversy it has created is the fact that CNN of all people actually fact-checked it and found it off base. Maybe there’s hope for CNN after all.